We will make Indian SME lending perfect. Then make it even better. Loan Frame is a fintech company where ambition meets ability. We are building the largest SME lending marketplace in the sub-continent. Backed by leading global private equity and venture capital investors who have helped build some of the most iconic companies in the world, we are re-imagining small business lending. By merging world-class processes from leading global banks with deep Indian SME credit experience, data science and cutting edge proprietary technologies, we are laser focused on helping small businesses grow. Shailesh oversees sales and strategy at Loan Frame. Previously, Shailesh helped build Copal Amba from a start-up to the #1 firm globally in the outsourced research & analytics industry with over 2900 professionals and 200 institutional clients. Shailesh held significant leadership responsibilities including running global sales, global delivery and global operations and actively participated in defining company strategy and assisted with M&A transactions. Copal Amba was acquired by Moody's Corporation in December 2014 in a landmark deal. Its past institutional investors included Deutsche Bank, Bank of America Merrill Lynch and Citigroup. 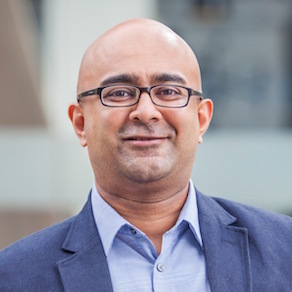 Shailesh started his career as an investment banker with Piper Jaffray where he advised technology companies on IPOs, secondary offerings, convertibles and mergers & acquisitions. Shailesh is an angel investor with investments in over 20 start-ups. Shailesh has a bachelors of arts degree in organizational management from Gustavus Adolphus College in Minnesota. Akshun oversees technology, innovation and operations at Loan Frame. He has significant experience in structured debt investments and workouts into medium sized Indian businesses. Akshun was previously with ADM Capital, an investment manager investing in distressed and special situations debt of medium sized Indian businesses. Previously, he managed a team for a $80 billion US private equity and distressed debt fund client of Copal Partners and prior to that he was an investment banker with Cogence Advisors. He has deep understanding of risk assessment, security creation and restructuring regulations for business lending in India. Akshun has a dual bachelors and masters degree in technology from IIT, Delhi and an MBA from the Indian School of Business. 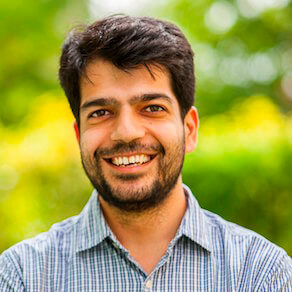 Rishi oversees finance, partnerships and information security at Loan Frame. He has significant experience in the banking and financial services sector. Prior to Loan Frame, Rishi managed the BFSI equity investments of Canara HSBC OBC Life, a fund with an AUM of over Rs.10,000 crores. He previously was head of compliance and information security at Copal Partners where he ensured information security compliance for sensitive information shared by top-tier global investment banks. Previously Rishi was at HSBC where he conducted information security audits on very large and complex treasury units of HSBC Bank located in London, Tokyo, Hong Kong and Paris. Rishi started his career with KPMG where he conducted audits of NBFCs. Rishi has a B.A (H) Economics from Hindu College and is a qualified Chartered Accountant. Parag is Co-founder, Vedanta Capital LLC, a fund with $600M in commitments. 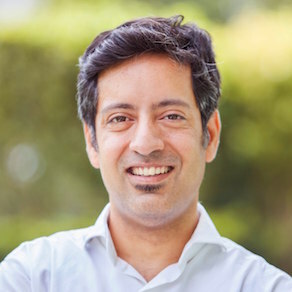 He is also Founding General Partner and CEO of New Silk Route, a $1.4 billion growth capital firm investing in the Indian sub-continent and other growing economies in Asia. Previously, he has served as CEO of INVESCO Private Capital, one of the oldest and largest venture capital firms in the U.S.
During his 23-year tenure at INVESCO Private Capital, the firm made over 300 investments, including Amgen, Celgene, Costco, MetroPCS, PictureTel, Polycom, Staples, and Starbucks. These investments have helped grow companies which have created over 500,000 jobs and enjoy a market value exceeding $500 billion. Parag has also led more than 90 investments for Chancellor and INVESCO Private Capital, a third of which have gone public. These investments include Amber Networks, Masimo, Alkermes, ARM Holdings, Genomic Health, Indigo, and Volterra. Parag, over the course of four years, consistently qualified for Forbes Midas List. Parag was named the 23rd, 38th, 31st and 28th best deal maker in venture capital in the 2006, 2007, 2008 and 2009 lists, respectively. Parag has served on committees advising the Prime Minister of India on foreign direct investments and venture capital for the Planning Commission of India. He has provided recommendations on small business and venture capital to representatives of the U.S. Congress. He is also a Director of the Heritage Fund of the IIT in Bombay as well as a Trustee of the Bharatiya Vidya Bhavan. 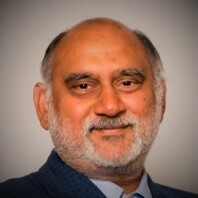 He is on the Advisory Board of the Centre for Advanced Studies on India at the University of Pennsylvania and the Indian Advisory Council of Brown University. He is also on Mayor Bloomberg’s Applied Sciences NYC Advisory Committee. Parag received an M.B.A. from the Wharton School of the University of Pennsylvania. He earned a B.Tech from the Indian Institute of Technology and an M.S. in Chemical Engineering from the West Virginia College of Graduate Studies. Bill Campbell has extensive experience leading some of the most recognized and respected financial services and consumer product companies. From 2005 to 2007, he served as Chairman of Visa International, leading the company to its US$ 17.9 Billion IPO in 2008, which was the largest equity float at the time in US equity market history. 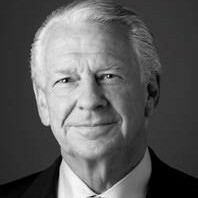 Mr. Campbell was previously chairman of Chase Card Services and has also served as chairman of Bank One Card Services which merged into JP Morgan Chase & Co. in July 2004. He was also an advisor to the Chairman and CEO of JP Morgan Chase. He joined Citicorp in 1995, where he saw Citigroup’s Global Consumer Business, including global branch banking and credit cards. He was appointed as CEO of Citibank Global in 1996 and CEO of Citigroup’s Global Consumer Business a year later. Early in his career, Campbell spent 28 years at Philip Morris, including as Chief Executive Officer of Philip Morris USA and as President of Philip Morris Asia Pacific. Currently Mr. Campbell serves as president of Sanoch Management, a consulting and investment firm that he founded for financial companies, start-ups and venture capital firms. In India he is an early stage investor and advisor to Mu-Sigma a leading big data analytics firm. An avid supporter of arts, he also serves as vice-chairman of the Brooklyn Academy of Music. He is a member of the executive committee of the Byrd Hoffman Watermill Foundation and Board Chair of The END Fund. Toos is co-Chief Executive Officer of MIO Partners, Inc., the McKinsey Investments Office (MIO). Toos joined McKinsey & Co in 1983 and was elected Senior Partner in 1995, a position he held for 20 years. Toos has counseled CEOs and senior executives at a range of financial institutions and information/transaction services players on strategy and operational matters. Over his years at McKinsey, Toos led the Americas Risk Management Practice, the Americas Banking and Securities Practice, and the build-out of McKinsey’s global Risk Advanced Analytics capability. Toos served on the global Board of McKinsey, the Board of MIO, and the Advisory Board of the McKinsey Global Institute (MGI). Toos currently serves on the Board of the Royal Bank of Canada, the Board of CardConnect Corp., the Advisory Board of the Ross School of Business at the University of Michigan, Ann Arbor, and is Executive-in-Residence at the Columbia Business School. Toos is a member of the Board of the New York Philharmonic. 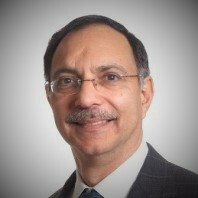 Toos holds an MBA from the University of Michigan, Ann Arbor, and a Bachelor of Technology in Electrical Engineering from the Indian Institute of Technology, Bombay (recipient of the Distinguished Alumni Award).